It is mind boggling the variety of fried rice dishes out there. 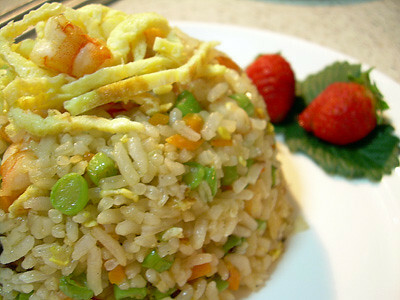 With rice as the main actor, it is left to the imagination of the chef to add the supporting acts to create a fried rice dish. One of my favourite fried rice dish is the Prawn Fried Rice. The prawns give the fried rice a nice seafood flavour and comes with a natural sweetness which cannot be substituted with the use of any form of seasoning. One of the best ways to enrich the taste of leafy greens is to add fresh prawns. Siew pak choy is one the favourite leafy greens consumed in Malaysia and Singapore and it is such an easy vegetable to cook. Whilst this vegetable is usually cooked with oyster sauce, cooking it with prawns actually give it a more natural sweet tasting sauce. I use the smaller sized siew pak choy (Hong Kong variety). I used medium sized prawns and left the tails intact. Removing the tails during eating remained one of my favourite challenges. In a way, it also enhances the beauty of the dish. 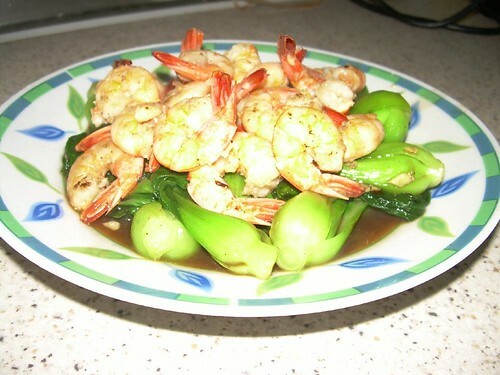 I used seawater prawns rather than freshwater prawns as the texture and taste is much better. Crabs! Finally they appear on this site. There are many recipes for crabs but this Stir Fried Crabs recipe focuses on simplicity and natural goodness. The usage of garlic, ginger and spring onions help to mask away the slight “fishy” smell of the crabs (I use mangrove / mud crabs here) whilst maintaining the natural sweet taste of the flesh. 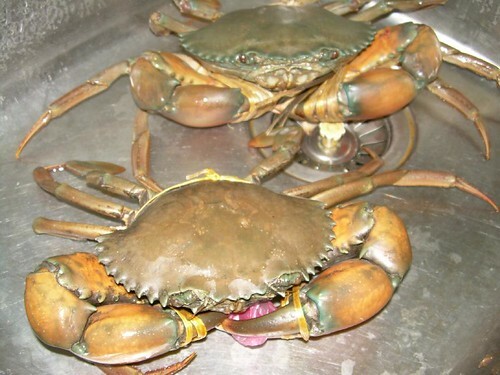 Unlike other crab recipes like Marmite Crabs, Tomato Crabs, Kam Heong Crabs, Chilli Crabs, Black Pepper Crabs or Cheese Crabs which overpowers the natural sweet taste of the flesh, this recipe ensures that you get to enjoy crabs at its best. By the way, you only kill the crab just before cooking. 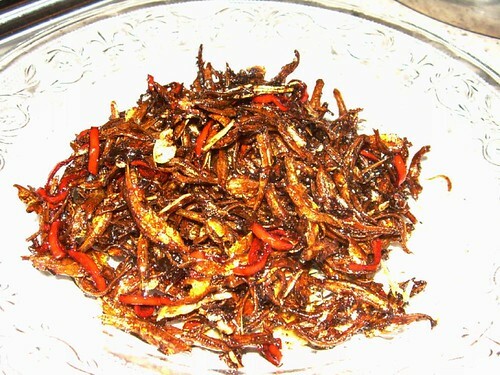 Before I got married, the only snack which I knew how to cook with Ikan Bilis (Dried Anchovies) was my so-called Ikan Bilis Snack recipe. After getting married, I cooked that dish for one of the meals and my wife remarked that her family version is slightly different. Sour and Spicy Ikan Bilis (a name I coined out) is slightly more elaborate but if you ask me, has a more complex but delicious taste compared to Ikan Bilis Snack. If you compare the two recipes, you will realize that Sour and Spicy Ikan Bilis has more ingredients compared to Ikan Bilis Snack. The combined use of thinly sliced aromatic shallots, fresh chillis and garlic with ikan bilis with a twist of lime makes this dish truly appetizing and refreshing. You can eat it as a snack (provided you have a couple of glasses of drink to help you quench your thirst) or as an accompaniment to steamed white rice. Give it a try as it is really simple to prepare and cook.